While advancements in technology are being made constantly in almost every industry, technology for your small business is better. In this case, cloud services are a winner. These services are making it easier for small businesses in Kenya to run their operations and achieve multi-faceted, attainable and real benefits. Instead of having local servers to handle data, this is handled by a network of remote Angani servers to which all data is transferred via the internet. It is an amazing practice for enterprises, and beneficial to small businesses that want to maximize their efficiency. Angani cloud products are simple and easy to use. It is easy to maintain, use, upgrade and have your data responsibilities in our hands. This is amazing considering you do not have to spend outrageous amounts of money on desktop hardware and software. With Angani’s pay-as-you-go model, you pay reasonable fees to get the storage your business needs. Hardware comes with limitations, but cloud services have close to no limits. You can get as much storage as you need for your small business without limitation concerns. When running servers on your own, storage becomes a problem due to the constant need to purchase more hardware, which leads to higher energy costs. You can avoid this by choosing the route of Angani cloud services. When all your data is stored on the cloud, backing up your data and restoring it is easier than doing it on physical devices. Angani will handle data recovery for you meaning that you do not have to stress about getting it right. Over the past year, we have been working tirelessly to provide global changing solutions to our customers. Below are case studies of some of the outstanding solutions we have provided and continue to provide. It is rated as one of the world’s most spectacular natural events – every year, over a million wildebeest, zebra and antelope migrate clockwise around the Serengeti/Maasai Mara ecosystem, taking place in two different countries while making time for birthing, courting and mating along the way. This past September, Angani partnered with WildEarth TV to bring this spectacular event to the world. The broadcast was live streamed for five days from the world famous Mara Triangle and also broadcasted on National safariLIVE’s own social media pages. With Angani’s Media Solution, Broadcasters, Content Developers, Schools, Churches and Corporate organizations can create their own TV channels or broadcast on demand without having to invest in any infrastructure. One of East Africa’s largest financial institutions by assets, serving over 9 million customers across Kenya, Uganda, Tanzania, South Sudan and Rwanda, was looking for a marketing approach that would complement the always-on digital lifestyles of today’s consumers, create top-of-mind awareness and drive leads. The Bank wanted to reach people who were digitally savvy, and created a campaign to target people who use smartphones to check email. With over 3 million “online” users in Kenya, its agency contracted Angani to provide scalable infrastructure to host their lead generation ad campaign to encourage non-customers to open an account online with the Bank. While leveraging Angani’s Infrastructure, the campaign exceeded performance expectations, proving to be instrumental in acquiring new customers and driving awareness. Companies can leverage on Cloud Infrastructure to lease compute resources for periods required for their campaigns without having to invest in sunk infrastructural costs. They can scale up as demand dictates and drop services when there is no demand. One of Kenya’s County Governments was grappling with ways on how to store old footage of their CCTV camera’s. Conventional storage on hard disks was prone to disk failures thus leading to loss of valuable data and information. The County Government sought the services of Angani, to help develop a reliable storage and archiving solution for its footage. With Angani’s Media Storage solution, the Government was assured of Peace of Mind with 3 copies of its footage stored on a secure environment. What’s more, the County Government did not have to invest in any additional hardware for this solution, while leveraging on its existing Internet Connectivity for upload. The low latency on the Angani Media Storage Solution ensured the Government was able to upload their footage without compromising other applications that require Internet Connectivity. With these benefits, the County Government found this solution significantly cheaper than investing in Physical Drives. 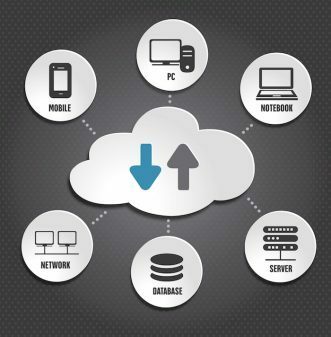 Angani cloud services allow you to focus on your business’ most important aspects while we handle your storage, backup, recovery, security, software, updates, optimization and more. If you are interested in solutions unique to your business, contact us right away.